If you know me at all, you know I have a thing for sheep. What you may not know is that my sheep obsession started almost 30 years ago, in the summer of 1989! My sister, who has a thing for animals of any kind, was fostering endangered desert tortoises in her Arizona backyard at the time. My mom thought it’d be fun to start a turtle figurine collection for her. Not wanting to ignore her favorite (oldest) daughter, she asked me if I’d also like to collect something. I thought for a moment before answering, “Sheep.” I’d never even been around actual sheep. But I’d rubbed shoulders with them on the pages of the Bible, and read a few books about the spiritual parallels between humans and sheep. (The most notable being “A Shepherd Looks at Psalm 23” by Phillip Keller. It’s a classic; I highly recommend.) I’d grown rather fond of these wooly wanderers. And so, I became known as a lover and collector of all things Sheep. This spring, I revisited Psalm 23 with my Thursday night Bible study group, along with author Jennifer Rothschild as our insightful teacher. (I also highly recommend her study!) In preparation, I dusted off my sheep collection and enjoyed the memories they evoked as they decorated our gracious Bible study host’s home. I was excited to share my passion for sheep with the group. Turns out I was the one most in need of a reminder that I was still just a humble sheep. They are quickly disoriented. 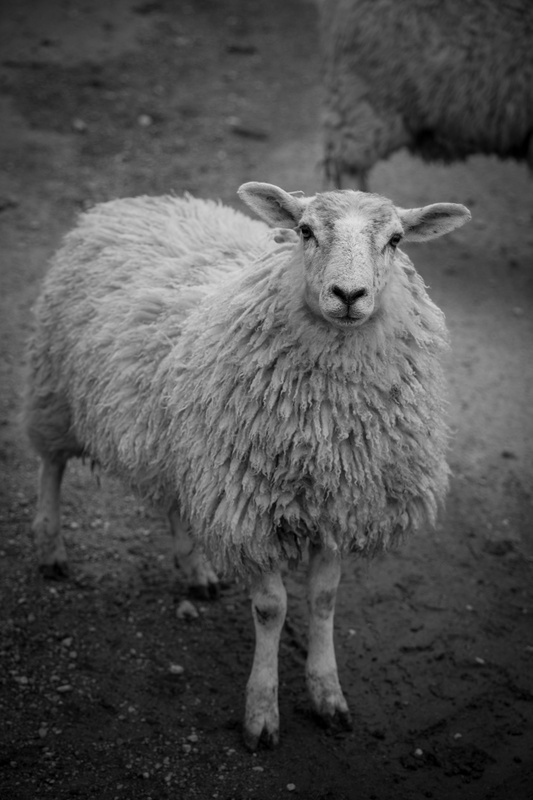 Unlike birds, dogs, and many other animals, sheep lack a homing device. No GPS included! They are easily spooked. Once, on a field trip with my “Mums and Tots” group in England, I witnessed a whole group of sheep panic when some harmless preschoolers tossed a few bits of hay their way! They are almost completely defenseless. No claws, no fangs in those jaws. No wonder they run! That they need a shepherd is no surprise. But not just any shepherd. They need a good shepherd. 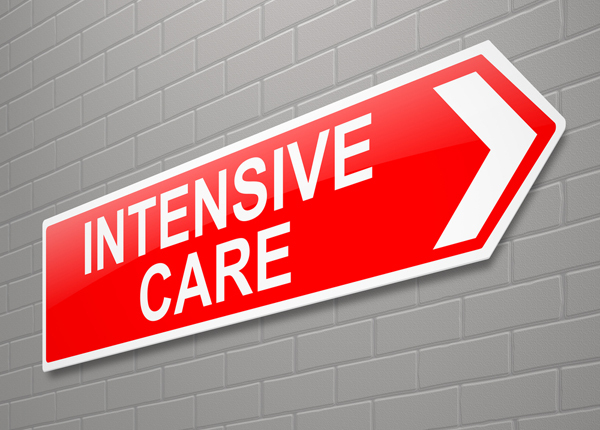 One who will tirelessly devote himself to their intensive care. I don’t really like being compared to a sheep. But (sheepishly) I must confess this threadbare sweater fits. I am prone to panic, the smallest worries triggering an emotional stampede. I often feel defenseless and vulnerable when under spiritual attack. Thankfully, I am not a sheep without a shepherd. A good shepherd is, well, good at what he does. He genuinely cares for his sheep. He has a vested interest in the well-being of His flock, because his reputation is on the line. A thriving flock testifies to His watchful, faithful care. He’ll do whatever it takes to keep them safe and sound. In a recent blog post I shared that I am in need of some “soul care,” some restoration and repair. 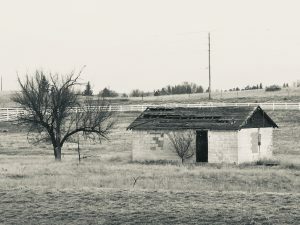 The starting point for this journey was admitting who I am: a sheep in need of a shepherd, and acknowledging who He is: the Good Shepherd, who will stop at nothing to provide for His sheep. My job? To not resist, but instead rest in His capable care. I have a Good Shepherd. He is more than able, and willing, to take care of me. I will rest in His loving care. I really didn’t want to hear it. But she needed to say it. So I pressed the phone to my ear and listened as she shared her difficult story. She had recently gone through an abortion. There were complications. She was traumatized. I grieved. This was not the outcome I had been hoping for. One life ended; another life damaged. The next morning, I opened my Bible app and numbly went through the motions of that day’s devotion. I skimmed the supporting Bible verses. The last two verses broke through my fog. I believe life begins at conception. Psalm 139 is a well-known passage that teaches this truth. I thought of the unborn baby who was gone too soon, and mentally estimated the number of his* days. I calculated the number of days his miniature heart beat. God saw him. God created him. God knew the number of his days, the number of his heart beats. God sees the baby’s mother too. He created her. He knows the number of her days, the number of her heart beats. He even numbers the hairs on her head. He also knows she is injured and in need of support. I had an overwhelming sense that the baby, now safe in the arms of His Maker, was speaking. It was as if he was explaining the purpose of his short time here on earth, and prophesying over his mother’s future testimony and destiny. It was a merciful message of Hope. God will redeem this. The story is not over. Someday He will use it to save the lives of many others. I believe this. I am claiming this for her. And for anyone else reading this who has been impacted by abortion. Abortion is ugly. It silences one heart and wounds another. I’ve personally witnessed its destructive aftermath in the lives of friends and clients. 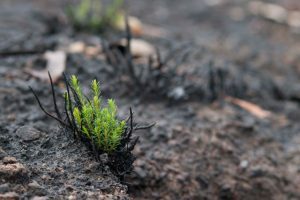 But I’ve also seen Jesus mercifully breathe life into its ashes and fashion something amazingly beautiful out of the pain. It’s the reason He came. *While I don’t know if this baby was a boy or a girl, I decided to refer to him/her as “him.” I feel “it” dehumanizes unborn human life. An important note: If you have experienced an abortion in your past, please know there is forgiveness and healing in Jesus. He can redeem your story too. I’m here to help, whenever you’re ready. My newfound obsession with these agile little aviators inspired me to purchase my own feeder. Only I soon learned that attracting a hummingbird in Wyoming would not be easy. We live on the western edge of their habitat, and only three types of hummingbirds are found in this region. ** In our 20+ years here I had only encountered ONE hummingbird. Undaunted by these intimidating facts, I requested my mom’s sugar syrup recipe, and in faith, filled my cute mason jar feeder. I hung it on a shepherd’s hook outside the kitchen window and asked God to please send me a hummingbird. Then I watched, and waited. Three weeks passed. 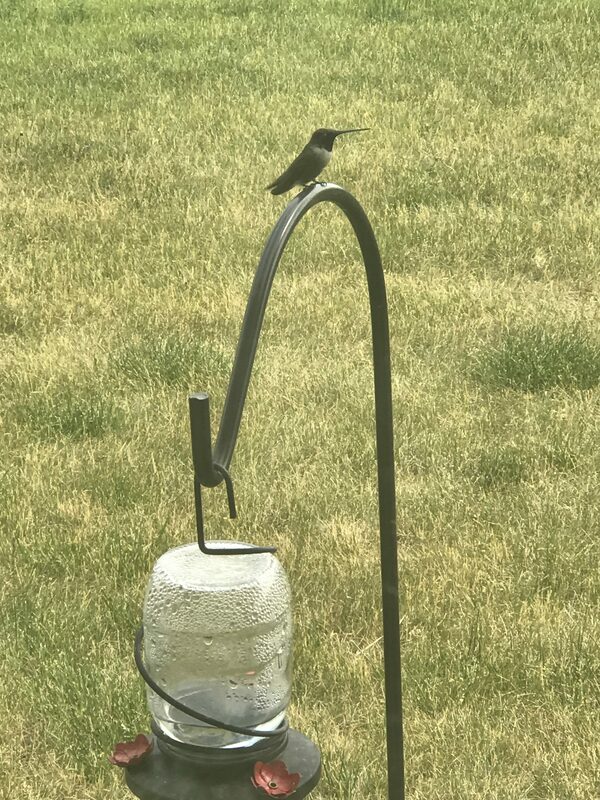 As far as I could tell, our hummingbird diner had not served a single customer. Initially I changed the water every few days as instructed. But as the days turned into weeks, I was less diligent. I began to lose faith. My husband expressed doubt that there were even hummers to be had. The last week of May, we celebrated our youngest daughter’s high school graduation with family and friends. 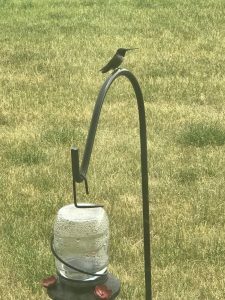 In all the commotion, I completely neglected the hummingbird feeder. The day after graduation, as I sipped my morning tea at the kitchen table, I noticed the stale water in the untouched feeder. Sigh. 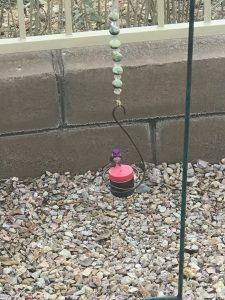 I felt discouraged and defeated in my hummingbird quest. Maybe Chris was right after all. Then unexpectedly, fresh faith bubbled up in my heart, like the sticky syrup when I’d refill the feeder. I recalled the many sweet gifts God had so graciously given me over the years, and how I’d come to know Him as a good Father who loves to delight His children. I’d walked with Him long enough to know He could certainly do it again. Lord, I believe You will send me a hummingbird. Just because I asked. And because that’s just the way You are. An hour or so later, my parents arrived at the house. When they entered the kitchen, my mom excitedly exclaimed, “Look! 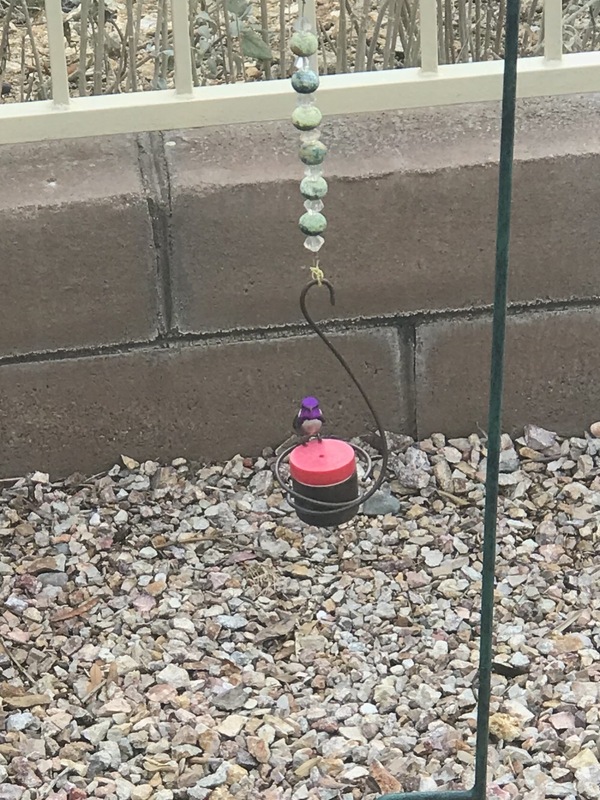 A hummingbird!” Sure enough, there she was–a very ordinary-looking, brown, female hummingbird sticking her pointed beak into the metallic red flowers around the base of the feeder! God had answered my prayer! We all gathered around, enjoying the shared moment and celebrating her much-anticipated arrival. Everyone, that is, except Chris. He was at work that morning. Later, he listened skeptically as we recounted the tale of our tiny backyard visitor. Unconvinced, he wondered if we had instead witnessed a hummingbird moth, commonly mistaken for a hummingbird. We googled images to compare. I was pretty sure we had seen a humming bird. But “Doubting Chris” was putting doubts in my mind. A week later, Chris and I were sharing a quiet meal at the kitchen table. He happened to glance up from his plate to spy the female hummingbird hovering at the feeder! She had returned! This was no imposter, and Chris was no longer an agnostic! A few days later, he even spotted the male, with his iridescent emerald head. I am now happily married to a Believer! We can ask God for anything. Even a hummingbird! When we ask, the answer may delay. Others may discourage us. Doubt may come. Keep watching and waiting. The answer may be only a hummingbird’s breadth away! God’s answers are even sweeter when shared with others. That’s why I’m sharing this story with you! So what will YOU ask your Heavenly Father for today? Step out in faith. He loves you. Let Him surprise and delight you as only HE can! Note: See my blog post from April 2016 for more biblical perspectives on Prayer! *From “How to Name a Hummingbird” by Kim Johnson. June 16, 2018 – Finally got a decent pic of one! Actually, I’m not sure she was a “she.” She was technically an embryo and it was too early for a gender reveal. But “it” feels dehumanizing for a creature as lovely as she. And she was definitely human. I met her on an ultrasound screen. In my position as a Client Advocate at our local pregnancy center I’ve been privileged to witness hundreds of ultrasounds. But this one was special. Her body reminded me of a warm cocoon, cradling her beating heart as it flickered like an emerging butterfly. Her yolk sac floated above her head, a translucent, heart-shaped balloon. The dark gestational sac provided contrast to her bright form. The nurse and I hushed in her holy presence. 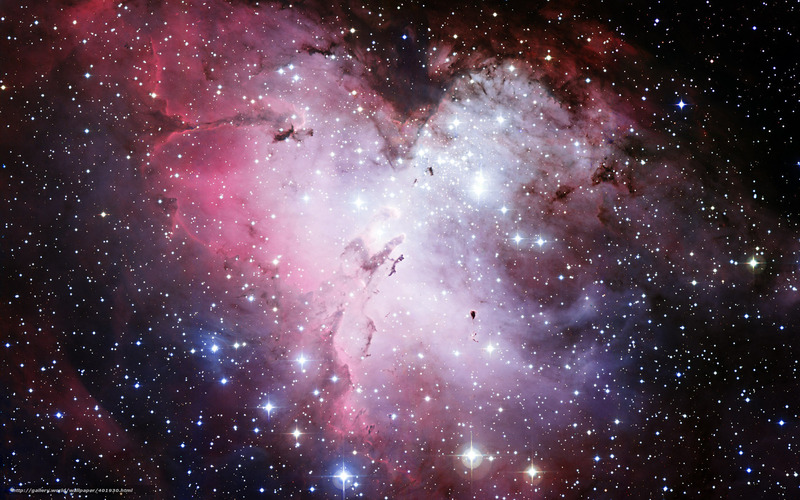 We beheld her beauty. Imago Dei. Sadly, she is no longer with us, her life cut short by a mother who viewed her but did not value her. Blind to her beautiful brilliance, deaf to her unborn child’s voice. I grieved the loss of this brief life. Her ultrasound image, etched into my memory and her essence, impressed into my heart. She was a living being, skillfully created. And now she’s gone. I realized I was grieving because I had loved. As I marveled at the Master’s workmanship I had been moved to love, just as He loves. The presence of grief proves there was love. My coworkers and I loved this little one. We admired her beauty. We mourn her loss. Even when her own mother could not. The sacrifices love required of her were simply too great for her to bear. So we bear them. God loves this young woman too. Beautiful, she also reflects Divine Image. He weeps over the choices she has made. He waits patiently for her to turn and receive His merciful touch. 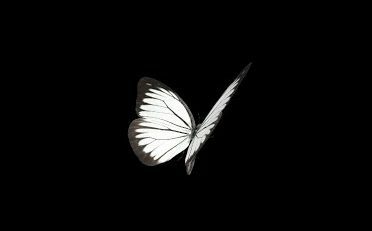 He will lovingly embrace her, just as He welcomed her little butterfly when she winged her way heavenward. For He is the Lover of our Souls. He fastened His gaze upon us, the undeserving objects of His love, and decided we were worth the sacrifice. His love compelled, then propelled Him all the way to the cross, where He laid down His life so we might live–and love. *From “Sparkling Gems from the Greek,” Volume II by Rick Renner. An Important Note: If you or someone you love has experienced the pain of abortion, please know there is forgiveness and healing to be found. Most pregnancy centers offer post-abortion support in a caring, confidential and non-judgmental atmosphere. You will be loved. Growing up, all of our girls participated in the “AWANA” program at our church. If you’re not familiar with AWANA, it could be described as a “Christian” version of the Boy and Girl Scouts. “AWANA” is an acronym that stands for “Approved Workmen Are Not Ashamed,” from 2 Timothy 2:15. The children are encouraged to memorize Scripture in a fun environment. I can still picture Laurel as an adorable preschooler in her royal blue “Cubbie Bear” vest. We were proud AWANA parents when she memorized John 3:16, her very first Bible verse. That is until she decided her ONE verse was good enough. She was done! No amount of honey could entice this stubborn bear to memorize another verse. Most of us, Cubbies or not, can recite John 3:16 from memory, right? Let that sink in. Yes, as John 3:16 states, God loved the world. But even before He made the world, He loved us! Before time ticked. Before creation commenced. Wow! I knew from Scripture that God saw us before we were born (Psalm 139:15-16) and that He knew us before we were formed! (Jeremiah 1:5) But to love us before the earth existed? That kind of love is earth–shattering! The God who purposed to love you before creation, proved His love for you on the cross! If you ever question God’s love, you need look no further than that cross, driven into the ground like a blood-stained stake. There, as His Son endured an agonizing death, the Father declared His undying love…for you! God determined to love us and then He declared His love for us! What more do we really need to know? Spend a few minutes meditating on God’s overwhelming, never-ending love! My Snapchat streak passed away quietly sometime in the night. I didn’t mean to kill it. It died of neglect. 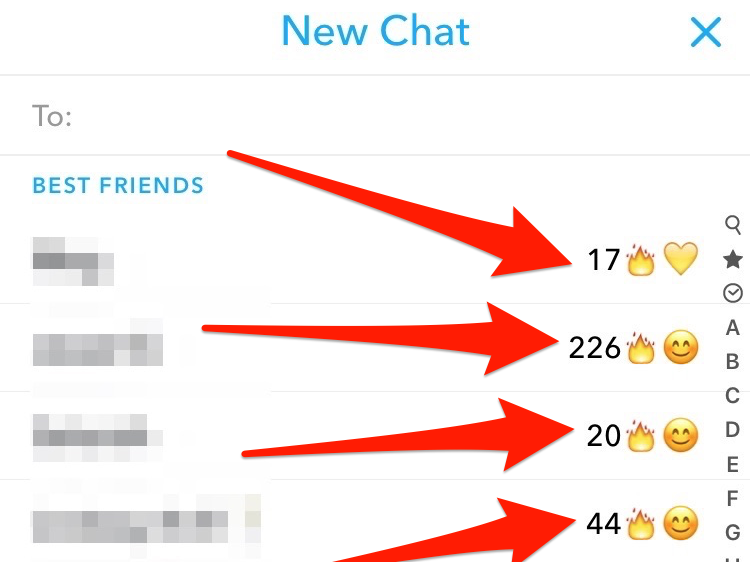 For you non-Snapchatters, a “streak” is created when you and a friend exchange photos (called “snaps”) at least once a day for three consecutive days. In the image above the little flame icon indicates a streak, and the preceding number is its age in days. I’m not sure what the ultimate goal is exactly, but it is VERY important to keep your streak going. My teenage daughter somehow talked me into starting a streak with her. In my defense, I worked hard at that streak. I don’t like taking selfies, so I had to be creative in finding other subjects to snap. Coffee mugs featured prominently in my chats. Exciting stuff there. I enjoyed staying in touch with my daughter throughout the day. I looked forward to learning, for example, which shoes she was sporting in the morning, or who she was goofing off with in class. But I did not like the pressure I felt to respond in kind. My shoes just aren’t that cute. And selfies–and goofing off–at work are generally frowned upon. You’ve connected with God’s Word for 14 days in a row! Cue the confetti. Yay me! Don’t get me wrong. It’s good to have goals. And it’s great to form daily habits that reflect and reinforce the priorities in our lives. But the stress of supporting a streak is just too much for me. I want to connect with the ones I love simply because I love them. And if I “miss” a day, to know it’s ok to pick back up right where we left off. Without having to start the count all over again. It reminds me of my teen years, when I used to practice the piano. I’d be playing along just fine, and then I’d make a dreaded mistake. Back to the beginning I’d go, in search of a flawless performance. The result? I usually knew the first few lines of my pieces really well! But what if, instead of starting completely over when we messed up, we just kept moving forward? I think that’s what God is really after in our walks with Him. Not perfection; but affection. Not obligation; but devotion. I don’t think He has a giant heavenly Snapchat scoreboard where He tracks our performance. I don’t believe He expects perfect and unbroken “streaks” with His children. When we skip a day in His Word, we don’t undo everything we’ve experienced with Him up to that point. When we make a mistake, we can acknowledge our shortcomings and sin. And then simply resume walking in love and fellowship with Him. That’s it. The pressure’s off. So strike the streak. Life with Jesus is not a series of snaps, but a lifetime stroll with a loving, and forgiving, Savior. My hand trembled to the rhythm of my pounding heart as I stared at the parallel purple lines on the home pregnancy test. NO. This was all wrong! I had been praying for my best friend Sue to get pregnant, NOT me! I wasn’t unhappy to be expecting our third child; I was secretly thrilled. But I dreaded telling Sue, not wanting to add more pain to her and her husband’s long struggle to conceive. I turned to the Scriptures for help and landed in Luke 1. Back in the days before pregnancy tests, two unlikely mothers–the elderly Elizabeth and her teenaged cousin Mary–found themselves unexpectedly expecting. Each was a tender and timely encouragement to the other as they prepared to welcome their famous firstborn sons. I noticed that their pregnancies overlapped for a trimester. As I read their intertwined pregnancy stories, a new prayer rose up within me: that Sue and I would be pregnant together! Hand still shaking, but with newfound courage and hope, I picked up the phone. Sue listened quietly as I shared the news of my surprise pregnancy, along with my simple prayer request. We tearfully agreed to trust the Lord together to grant it. A few weeks later, high on faith (and pregnancy hormones), I impulsively shared my prayer request with my ladies’ Bible study group. And instantly regretted it. The request was so specific and measurable. I felt like I had climbed out on a limb, vulnerable and exposed. What if God didn’t come through? Now everyone would know! Despite my fears, I continued to pray. Four months passed. Sue and I celebrated our 40th birthdays with two mutual close friends who were also 40–and pregnant! Sue was so gracious through it all, but I longed for her to join our ranks now more than ever. My due date approached. Still no answer to our prayers. Even on the way to the hospital the misty morning of my scheduled C-section, I held onto the hope that Sue would conceive while I was still pregnant. I nursed my disappointment and confusion as I cared for my newborn daughter, Laurel. Sue and I had believed God. We had agreed together in prayer. But for some unknown reason, God had chosen not to grant our request. Several months later, Sue and her husband felt led to pursue an international adoption. They chose Korea, because their orphaned infants were cared for in loving foster homes. After successfully completing their home study, my friends waited expectantly to be matched with a child. By this time Laurel was over a year old. The call finally came. They had been selected to adopt a precious little boy! His name would be Luke. We rejoiced in God’s goodness together! When they received more details about their son, however, they were surprised to discover that he was several months older than most babies who were adopted from Korea. They learned his birth date. We did the math. I’ll never forget the moment we realized it. Luke was conceived two months BEFORE I gave birth to Laurel! Our babies were only seven months apart! God HAD answered our prayer, just not in the way we had expected! We were in awe of His faithfulness! In my mind’s eye I could see her now. Somewhere in Korea, another unexpectedly expecting young mother, holding a positive pregnancy test in her trembling hand. Two parallel purple lines, leading to one brave choice. A sovereign God, orchestrating an incredible answer to prayer. Fearful faith, becoming glorious sight. Note: This post was shared with Sue’s blessing! Thank you, Sue, for letting me tell the story of our divinely intertwined pregnancies! It’s been a stormy summer. And I don’t just mean the weather, although we’ve had our share of those storms too. One early summer storm was so severe it spawned tornados and spewed hail the size of baseballs, leaving shattered windshields and shredded roofs in its wake! We’re still repairing the damage. None of these were more than tiny blips on the radar when the summer began. We charted our course, expecting smooth sailing. But storm clouds gathered and our plans scattered. So what do you do when you find yourself tossed by waves in the middle of an unforeseen gale? I know this from watching “Deadliest Catch.” If you’re not familiar with this reality TV show, it chronicles the dangerous work of crab fishermen on the Bering Sea. In a recent episode, the fleet was warned of an approaching hurricane. Most of the captains quickly sought shelter in the nearest harbor, where they anchored to safely ride out the storm. This anchor holds. It will not slip or snap under pressure. It can support the heaviest weight and withstand the strongest current. And indelibly etched on this trustworthy anchor is a name: Hope. An unshakeable hope. Firmly embedded in a secure salvation. But God not only promises a future salvation, but also a present help. He’s with us in the storms! We never face them alone. No matter how turbulent the seas get, He won’t let go. No matter how fiercely the winds blow, He will hold onto us. We won’t drift into the rocks. We will not be destroyed. Yes, it’s been a rough ride this summer. Wave after wave have rocked our little boat. But He’s sustained us through them all. We’re still afloat. We’re anchored by Hope. This song has become an anthem for me in the storms. Let Hope be your anchor! *From an article in Christianity Today. ***Wuest’s Word Studies from the Greek New Testament. 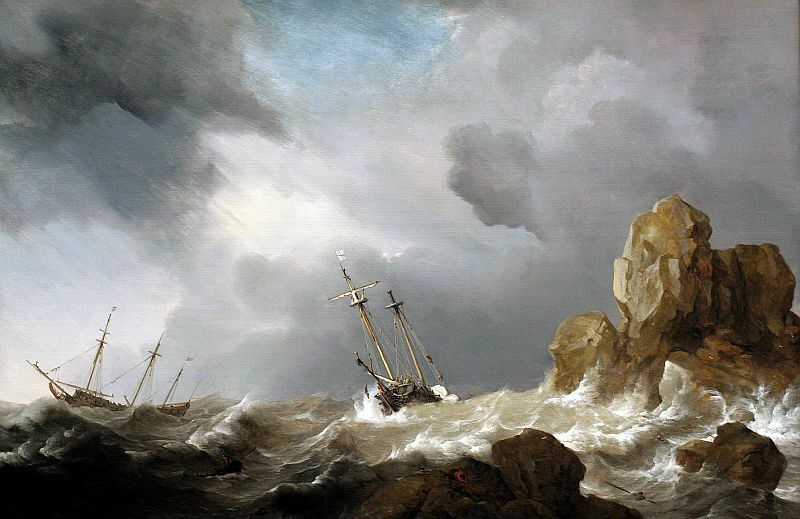 –The above painting is called “Ships in a Gale” by Dutch painter Willem van de Velde.